According to online report, a man who who brutally raped a 6-year-old physically challenged girl inside a bush has been finally convicted. 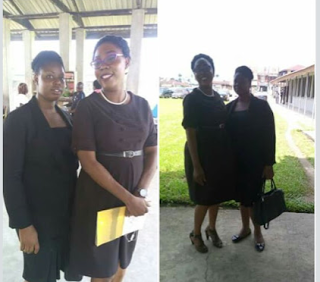 The conviction the man was secured by the International Federation of Women Lawyer (FIDA) Bayelsa branch on Tuesday, 28th of November 2017. "All he wanted was justice for his daughter, who was defiled and left to die in a shrine in one of the communities in Bayelsa State. The daughter, barely six years old was dragged into the bush and was disvirgined in the most unforgettable way. The innocent girl who is physically challenged and cannot even speak was rescued by passers by in a pool of her own blood. The perpetrator was convicted today. Kudos to Fida Bayelsa, kudos to Barr Roselyn. Well done."